Go to this page for the full story. Smartphone antennas are placed along the edges of the phone to maximize radiation efficiency. However, the close proximity of head or hand can significantly alter the antenna’s resonant frequency, and consequently have a negative impact on the antenna’s performance. To partially address this challenge, Closed Loop Impedance Matching (CL-IM) algorithms have been developed to dynamically reduce the reflected power at the feed point of the antenna. Unfortunately, CL-IM does not correct the antenna’s resonance, which means the antenna itself still suffers large efficiency losses. The optimum solution is to dynamically correct the antenna’s resonant frequency to compensate for environmental factors, such as the presence of head or hand. Doing so simultaneously eliminates most of the impedance mismatch losses at the antenna feed point. This technique is called Closed Loop Aperture Tuning (CL-AT). CL-AT requires the ability to accurately adjust the electrical length of the antenna with a low-loss tuner such as the Cavendish Kinetics (CK) MEMS SmarTuner. CK’s SmarTuner has 32 different capacitive states, and can be directly connected to the aperture of the antenna. Samsung used the CK MEMS SmarTuner, combined with internally developed CL algorithms, to create Samsung Smart Antenna Technology (SSAT). SSAT is a revolutionary solution to head/hand losses, and was recently demonstrated on a Samsung smartphone that supported LTE bands 5/8/20 and WCDMA band 8. Using a left flat hand phantom, Samsung obtained between +2.3 and +7.6 dB TRP boost depending on frequency band. Samsung presented its results at APS 2018 in July. This paper can be downloaded from APS 2018 or IEEE website (soon). Cavendish Kinetics (CK), the world leader in RF MEMS, announced that it has closed $15M of funding. This funding is in addition to the $28M secured in 2017. These funds support final productization and volume ramp of CK’s second generation RF MEMS technology, including ohmic switches and tuners. Products built from CK’s first generation MEMS technology have already been adopted by more than a dozen companies, including multiple Tier 1 smartphone OEMs. Smartphones are required to support an increasing number of frequency bands deployed around the world. Compounding this challenge is the fact that large-screen narrow-bezel phones are shrinking the antenna volume, which compromises efficiency. CK’s first generation MEMS SmarTuner allows Smartphone manufacturers to dynamically vary the electrical length of the antenna, which significantly improves performance. This technique, called aperture tuning, enables the most aggressive smartphone form factors, while maximizing signal strength and battery life. “CK’s volumes are growing at a nice multiple every year,” says Paul Dal Santo, CEO of Cavendish. “Beyond the obviously performance benefits, our first generation product has also demonstrated an outstanding quality record, and our supply chain has been thoroughly proven to the industry.” Cavendish Kinetics remains the only vendor to ship RF MEMS products in high volume. Cellular standards like LTE Advanced and 5G promise higher data rates, but also greatly increases the complexity of the RF Front End (RFFE). This is clearly evidenced by the fact that RFFE TAM will balloon to >$17B by 2020, making it the fastest growing TAM inside the smartphone. CK’s first generation MEMS has laid a solid foundation, and the second generation MEMS technology is poised to solve some of the industry’s toughest challenges in this >$17B space. SAN JOSE, Calif. – January 31, 2017: Cavendish Kinetics, the leading provider of high-performance radio frequency (RF) MEMS tuning solutions, announced today that its SmarTune RF MEMS antenna tuners have been adopted by 40 different smartphone models from 10 manufacturers, including the Samsung Galaxy A8. This traction and Tier 1 design win highlight the market recognition and acceptance of RF MEMS’ benefits, and the technology’s potential to improve smartphone performance and user experience. Antenna tuning has become the default solution for the industry, but the silicon-on-insulator (SOI) switches many use today are increasingly unable to meet RF performance requirements. Smartphone manufacturers are turning to Cavendish Kinetics’ RF MEMS SmarTuners to solve the challenge. Beyond the performance advantages, Cavendish Kinetics’ RF MEMS SmarTuners have proven to be extremely reliable which is of great importance to Smartphone OEMs. “Cavendish’s low-loss, high-Q RF MEMS tuners provide a truly differentiated solution that allows OEMs to design tunable antennas that enable peak signal strength and corresponding high data rates across the entire set of LTE bands,” said Paul Dal Santo, CEO of Cavendish Kinetics. “We are particularly excited that a major global brand like Samsung has adopted Cavendish’s SmarTune solution." Technology analysts continue to recognize the importance of Cavendish’s RF MEMS products to the smartphone industry. 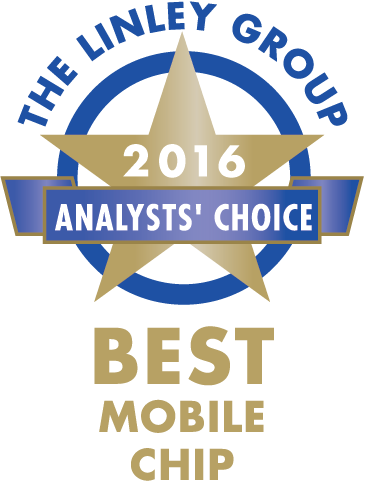 The Linley Group, a leading source for independent technology analysis of semiconductors for networking, communications, mobile, and data-center applications, recently awarded Cavendish Kinetics’ SmarTuner as the Best Mobile Chip of 2016. Cavendish joins an elite group of companies such as Intel, Qualcomm, Marvell and Synopsis who received The Linley Group award in alternate categories. Building on the success of its first generation of RF MEMS SmarTuners, Cavendish will release the 2nd generation of its RF MEMS products in 2Q of 2017, which will include the industry’s first viable RF MEMS Switch for cellular Smartphone and IOT radio applications. Cavendish received a $25 million strategic investment from Qorvo (NASDAQ: QRVO) in mid 2015. Cavendish Kinetics (www.cavendish-kinetics.com) is the leading provider of high-performance RF MEMS antenna tuning solutions for smartphones, handheld and wearable devices. Cavendish’s SmarTune devices feature a MIPI RFFE interface, have been qualified beyond 100 billion cycles and are shipping in volume since 2014. Cavendish Kinetics has offices in San Jose, CA, China, Korea, and the Netherlands. SAN JOSE, Calif. – August 24, 2015: Building on the market success of its high performance RF MEMS antenna tuners, Cavendish Kinetics announced today, that it has completed its final funding round with a strategic raise of $36 million, to accelerate the development of its next generation RF components. Cavendish’s new generation of RF components fully leverages its proven RF MEMS technology, and adds a range of virtually loss-less RF MEMS switches to its growing portfolio of industry leading RF MEMS tuners. Together the new components will enable a wide range of radio front-end applications, including the high-performance tuning of antennas, filters and power amplifiers as well as ultra-low loss switching of the RF signal path. Cavendish’s new generation of RF MEMS components is based on a simple enhancement of the revolutionary ‘switchlet array’ design with its proven MEMS cycle life of over 100B cycles. In addition to providing virtually loss-less RF MEMS switches, Cavendish’s next generation of RF MEMS tuners will now provide increased tuning range and RF voltage handling, enabling additional radio performance gains. Samples of Cavendish’s new generation RF MEMS components will be available in the first quarter of 2016, and ramp into volume production in the second half of 2016. Cavendish Kinetics (www.cavendish-kinetics.com) is the leading provider of high-performance RF MEMS radio components for smartphones, handhelds and wearable devices. Cavendish’s SmarTune devices feature a MIPI RFFE interface, have been qualified beyond 100 billion cycles and are shipping in volume since 2014. Cavendish Kinetics is headquartered in San Jose, CA, with offices in Dallas, TX, China, Korea, and the Netherlands. SAN JOSE, Calif. and BEIJING, China – May 11, 2015: Cavendish Kinetics, the leading provider of high-performance RF MEMS tuning solutions, and nubia, the premium smartphone brand of ZTE Corporation, announced today that nubia’s new Z9 smartphone is using Cavendish’s SmarTune™ antenna tuning solution to create the world’s first dual antenna tuning solution. Designing its most innovative Smartphone yet, the thin metal-frame and virtually bezel-free screen of the nubia Z9 placed unprecedented challenges on the antenna design. Using two separate tuners, the dual antenna structure in the Z9 is able to provide best-in-class RF performance across all supported LTE frequency bands. SmarTune antenna tuning solutions are based on small, highly efficient narrow-band antennas that use Cavendish’s revolutionary RF MEMS Tuners to shift their resonating frequency. This allows the Z9 to optimize performance across all LTE frequencies at efficiency levels wide-band antennas cannot achieve. "Seeing early prototypes of the Z9’s borderless screen and metal-frame we knew that our teams had to bend traditional antenna design rules to achieve the required radio performance," said Paul Dal Santo, CEO of Cavendish Kinetics. "The low-loss, small size and high performance of our RF MEMS Tuners was the perfect enabler for the unique dual antenna tuning solution in the Z9, where we used two tuners for the dual-band, single-feed antenna, enabling peak efficiencies across the entire set of LTE bands." nubia is the premium brand of ZTE Corporation. It was launched in October 2012. nubia brand is independently managed and differentiated by a separate team from the ZTE brand. nubia is focused on high-end open markets, with development around the world and is favored by consumers through its differentiation on concept, design, price, advertisement, and service. Singapore and San Jose, CA – 7 April 2015 – STATS ChipPAC Ltd. (“STATS ChipPAC” – SGX-ST: STATSChP), a leading provider of advanced semiconductor packaging and test services, today announced that Cavendish Kinetics, a leading provider of high performance RF MEMS tuning solutions for LTE smartphones and wearable devices, has adopted its advanced wafer level packaging technology to deliver Cavendish’s SmarTune™ RF MEMS tuners in the smallest possible form factor, as a 2mm2 chip scale package. LTE smartphone original equipment manufacturers (OEMs) are rapidly adopting antenna tuning solutions to be able to provide the required signal strength across the large number of LTE spectrum bands used globally. Cavendish’s SmarTune RF MEMS tuners outperform traditional RF silicon-on-insulator (SOI) switch-based antenna tuning solutions by 2-3dB, resulting in much higher data rates (up to 2x) and improved battery life (up to 40%). Cavendish RF MEMS tuner shipments are ramping aggressively and can now be found in six different smartphone models across China, Europe and North America, with many additional designs in development. STATS ChipPAC provides a comprehensive platform of wafer level technology from Fan-in Wafer Level Packaging (FIWLP) to highly integrated Fan-out Wafer Level Packaging (FOWLP) solutions known as embedded Wafer Level Ball Grid Array (eWLB). Cavendish Kinetics and STATS ChipPAC are jointly working to utilize the inherent benefits of wafer level packaging technology to drive further RF antenna tuning innovations for the smartphone market. “Through our successful partnership, Cavendish Kinetics has been able to implement their current generation industry leading MEMS-based antenna tuning solution. In future products, we will be able to provide Cavendish Kinetics with options for greater functional integration and silicon partitioning capabilities that are only feasible with our industry leading fan-out eWLB technology,” said Dr. Rajendra Pendse, Vice President and Chief Marketing Officer, STATS ChipPAC. SAN JOSE – March 17, 2015 – Today Cavendish Kinetics, the leader in high-performance RF MEMS tuning solutions, announced that its SmarTune™ antenna tuning solution is gaining significant traction in the LTE smartphone market, after the first OEM adopted Cavendish’s SmarTune solution at the end of 2014. Now shipping in 5 different smartphone models the new design wins address difficult LTE spectrum band combinations, especially the 2GHz band required in the Chinese market and the 700/800MHz bands required by many European and North American operators. For the first time Cavendish’s SmarTune solution is also used to optimize the performance of the LTE MIMO antenna. Now that most OEM’s recognize the benefit of aperture tuning over impedance matching, they are finding that Cavendish’s SmarTune solution allows them to design very small, highly efficient antennas that are needed to enable ever slimmer smartphones, without sacrificing radio performance. Cavendish’s RF MEMS Tuners outperform traditional SOI switch based antenna tuning solutions by 2-3dB, resulting in much higher data rates (up to 2x) and improved battery life (up to 40%). For network operators the SmarTune enabled devices provide more efficient spectrum utilization as increased data rates allow more users to be served in the same amount of spectrum. Optimizing the MIMO performance in smartphones further improves user data rates and network efficiency. “The fast growing number of design-wins for our SmarTune antenna tuning solutions underscores the superior performance and unparalleled reliability of our RF MEMS Tuners compared to all other tuning solutions,” said Lars Johnsson, Vice President Product Marketing, Cavendish Kinetics. “The 2-3dB of additional performance that our RF MEMS tuners enable makes a critical difference to ensure that the new generation of ultra-slim smartphones can have outstanding radio performance across the global LTE spectrum footprint”. SAN JOSE, Calif. – January 14, 2015: Cavendish Kinetics, the leader in high-performance RF MEMS tuning solutions for mobile and wearable devices, today announced that the company’s SmarTune™ RF MEMS tuners have passed 100 billion cycle lifetime testing. SmarTune RF MEMS antenna tuning solutions have a MIPI RFFE interface and improve the mobile user experience by reducing dropped calls, increasing the speed of data connections, and extending the battery life of mobile devices. Being able to provide LTE smartphone antenna tuners with virtually unlimited lifetime further increases the attraction of Cavendish’s SmarTune technology. For more information about Cavendish’s SmarTune RF MEMS solutions, visit: www.cavendish-kinetics.com. Cavendish Kinetics is the leading provider of high-performance RF tuning solutions for mobile devices in the global wireless industry. Cavendish’s SmarTuners have been qualified beyond 100 billion cycles and are shipping in volume since 2014. Cavendish Kinetics has offices in San Jose, CA, Korea, Taiwan, China, and the Netherlands. SAN JOSE, Calif. – November 11, 2014: Cavendish Kinetics, the leading provider of high-performance RF MEMS tuning solutions for mobile and wearable devices, today announced the closing of a $7 million funding round as well as the appointment of Gilles Delfassy to its board of directors. The round was co-led by Tallwood Venture Capital and Wellington Partners, with participation from Qualcomm Ventures and other existing investors. nubia’s Z7 flagship boasts a thin, metal unibody and rich 5.5 inch HD display and also supports all LTE/3G/2G bands in China, spanning frequencies from 850MHz all the way to 2.7GHz. In order to be able to support this band-plan within the constraints of its ultra-thin metal-frame design, nubia chose Cavendish’s SmarTune Antenna Tuning solution because of its unique ability to improve the signal strength, increase data throughput, and extend the battery life of the device. "Our revolutionary SmarTune antenna tuning solution controls the electrical characteristics of the antenna and optimizes its performance by shifting its resonating frequency, so that it is always optimally matched to the operating frequency," said Paul Dal Santo, CEO of Cavendish Kinetics. "This enabled nubia to design its Z7 flagship with a smaller antenna while achieving a level of radio performance previously reserved for much larger structures. With our new SmarTune solutions, antenna designers no longer have to compromise between size and performance." SmarTune Antenna Tuning solutions are based on Cavendish’s revolutionary MEMS SmarTuners, which provide an industry leading ‘Quality-Factor’ (>200), have near zero insertion loss, and enable antennas to tune across all LTE frequencies. Cavendish’s SmarTuners have proven their accuracy and reliability in over 50 billion cycles of testing. In addition, the SmarTuners are only 2 mm2 in size and do not require other components, which makes them easy to implement.